Rookie Cards: Granny Hamner, Mike Goliat, Eddie Sawyer, Jim Konstanty, and Bob Miller. Additional Information: The first 72 cards were printed in smaller quantities than the remainder of the set. 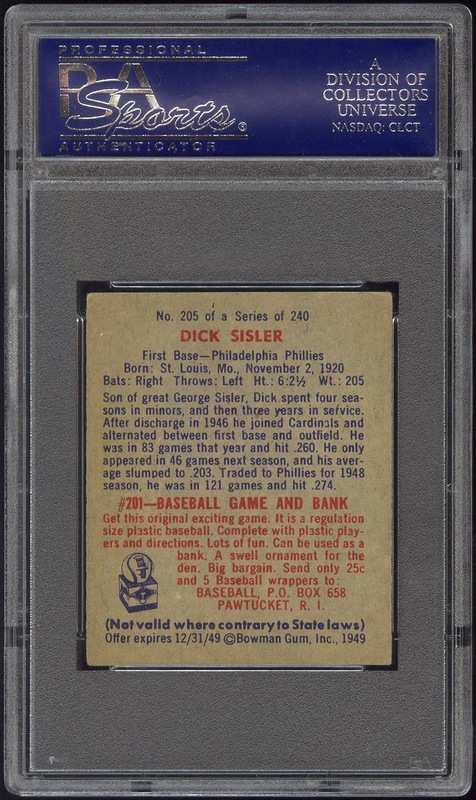 In addition, the final 72 cards of the set may be found either with or without the “© 1950 Bowman Gum, Inc., Phila., Pa., U.S.A.” line at the bottom of the card. The cards without the line are less common. The checklist below accounts for the variations. Interestingly, Topps never replicated the design of this set with its Bowman Heritage brand before discontinuing it in 2008. 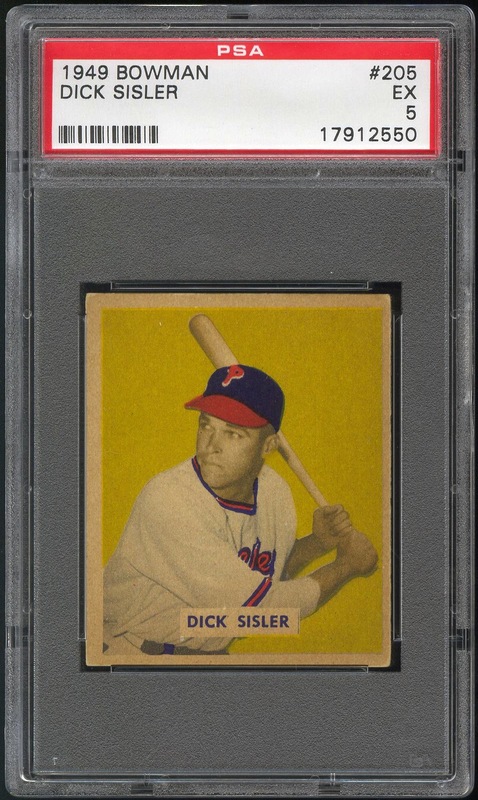 Rookie Cards: Because the is the first comprehensive set of the post-war period, with the exception of Blatnik’s and Rowe’s cards, all the cards are rookie cards. 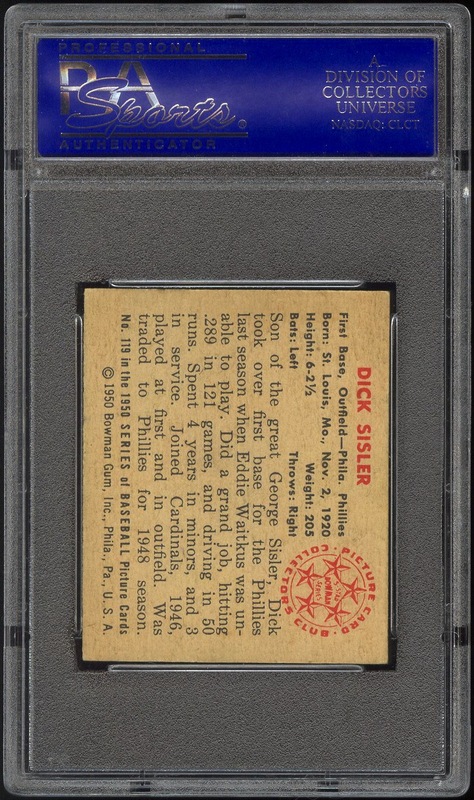 Additional Information: Starting with card #109, Bowman added the player’s name to the front of the card. All the previous cards in the set only show the player’s photo on the front. 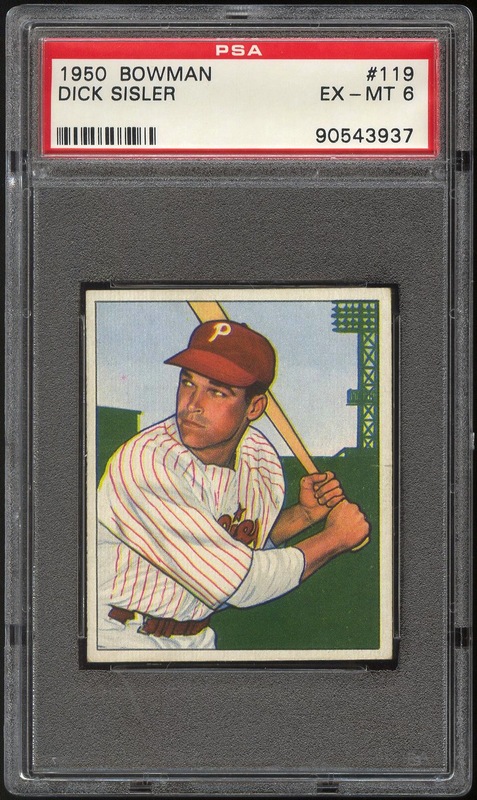 A couple of trades between the Phillies and Cubs during the ’48-’49 off-season resulted in Bowman depicting a number of players in their old team’s uniform and using their new team designation on the back. Topps replicated the design of this set with its 2006 Bowman Heritage issue, which included parallels bearing the same dimensions as this set. In addition, Topps included Ashburn and Roberts in its Rookie Reprints inserts for 2001 Bowman and 2001 Bowman Chrome.